Local Youth Given Free Oral Health Services in a Salute to National Children’s Dental Health Month, One Community Health and key partners teamed up for February’s Give Kids A Smile® event. February event offered time and talent to address oral disease among disadvantaged teens. HOOD RIVER, Ore., Feb. 24, 2016 — Thanks to a number of Hood River-based dental care providers and the National Dental Association (NDA), 16 local, underserved teenagers have just received free services, saving their families an estimated $10,000 in visit and treatment costs. In mid-February, One Community Health’s (OCH) Hood River location participated in the ADA Foundation’s annual Give Kids A Smile® program. Through this national initiative, three OCH dentists (Rebecca Flaiz, DDS, Greg Grossman, DDS, Maggie Anderson, DDS), three dental hygienists, and four support staff members gave an entire day’s worth of their time and talent. Together, they offered cleanings, x-rays, treatments, and expertise. All combined, they provided 22 restorative fillings and completed 38 sealants to improve the oral health of these patients. In addition, the nonprofit federally qualified health center referred one patient to root canal specialist Travis Chapman, DMD, of Waterfront Endodontics, who donated a root canal for a patient. One of the key benefits for youth participating in Give Kids A Smile® is they then become established patients with their dental health care provider. All 16 of the patients seen at OCH can return for quality, affordable dental services. What’s more, these local teens have now joined the ranks of five million underserved youth who have received free oral health services over the past 13 years and can enjoy similar ongoing care, thanks to the program and those who offer it. In addition to dental care, OCH offered free child wellness checkups as yet another way to reach out to the community and help establish new patient status for those in the underserved populations. Spearheaded by Brooke Nicholls, FNP-C, she saw seven teens that day from throughout the Columbia River Gorge region. 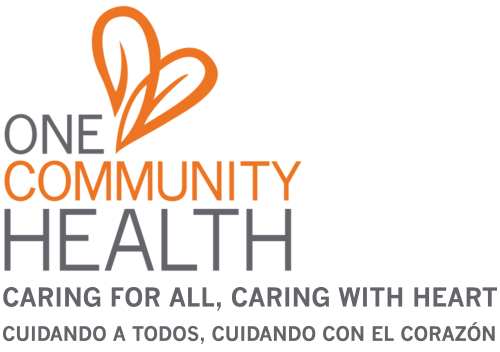 One Community Health (OCH) is a nonprofit, federally qualified community and migrant health center with clinics in The Dalles and Hood River, Ore. Formerly known as La Clínica del Cariño Family Health Care Center, Inc., it was founded in 1986 and, today, has evolved into an official Patient-Centered Primary Care Home. Today, OCH provides services to over 10,000 patients and has served over 50,000 during its history. OCH has a special mission of outreach and service to migrant and seasonal farmworkers in its agricultural region. In addition, OCH excels in providing proactive and innovative health promotion programs that sustain its integrated, value-based approach to health and wellbeing. Dedicated to advancing health and social justice for all its community members, OCH serves patients from the Mid-Columbia River Gorge Region: Wasco, Hood River, Klickitat and Skamania Counties. For more information, click here or visit: http://www.onecommunityhealth.org/.